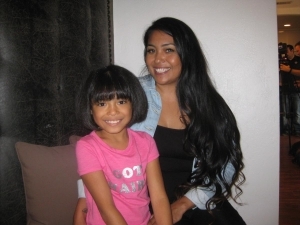 She has thalassemia, a form of anemia that requires blood transfusions every two-to-three weeks for the rest of her life. The blood is provided by the San Diego Blood Bank. 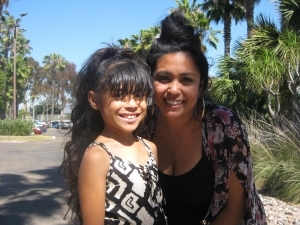 The transfusion process, which began when Gabriella was nine months old, typically lasts about eight hours over two days at Rady Children’s Hospital – San Diego. 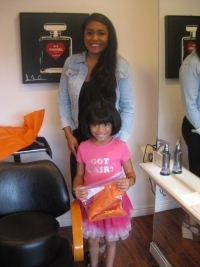 On June 29 in La Jolla, Erin Doumert, owner of Salon Elle, cut Gabriella’s hair that stretched about two feet long. 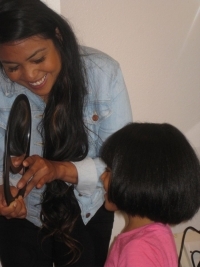 The hair was donated to Wigs For Kids, a nonprofit that provides hair to children who have lost their hair due to chemotherapy, radiation therapy, burns or other medical issues. The San Diego Blood Bank (SDBB), the primary supplier of blood to the majority of hospitals in San Diego County, is an independent, 501(c)(3) non-profit that serves hospitals in San Diego, Orange, Imperial and Los Angeles counties with blood transfusion products and reference laboratory services. Founded in 1950 with the support of the San Diego County Medical Society, SDBB currently operates six local donor centers and 10 blood mobiles. SDBB’s Cord Blood Program provides lifesaving stem cell transplants to patients worldwide. For more information, visit www.sandiegobloodbank.org.